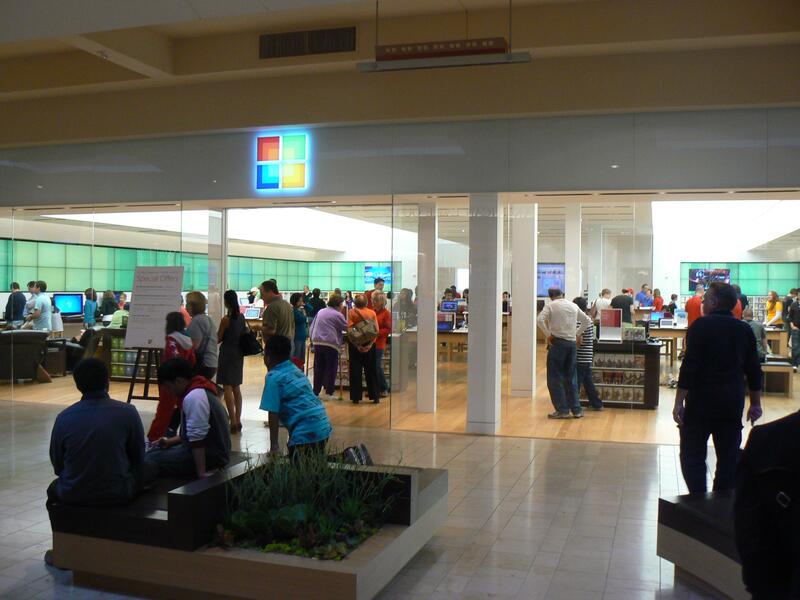 Microsoft to beat Apple at retail by being… less crowded? Microsoft currently operates 14 retail stores and is looking to quintuple that number over the next three years. Its stores feature separate areas for Microsoft’s core businesses: a living room setup with an Xbox and games, a Windows phone section, an area for mice and keyboards, and of course for ubiquitous products such as Office and Windows. Despite what haters might say, Microsoft has had a pretty good year: record profits, a steady growth of Windows Phone adoption, and the recent disclosure that the Redmond O.G. of OS sold 535 million Windows 7 licenses since the OS’s introduction in 2009. To put some perspective on that whale of a number, Apple has sold about 40 million Macs in the same time period, in addition to roughly 280 million iOS devices. Google has seen 250 million Android devices activated. In other words, Microsoft has sold almost as many Windows 7 licenses as all Macs, iPhones, iPads, and Android devices combined. Still, traditional desktop computing — the type of which Microsoft thrives — is now a shrinking market, rapidly being replaced by mobile. Retail seems a peculiar place for Microsoft to focus, given competitor Apple’s extraordinary success there, but Microsoft may have at least one advantage that it is loathe to admit: Its stores are currently less crowded than Apple’s.